This will be a long post to wade through, but the issue warrants the length. Our feckless leadership in the war against Ebola can best be understood through history, and a different kind of president. In the early days of the US Civil War, President Lincoln needed to raise an army, and fast. He could look out of his window and see General Robert E. Lee’s house atop a hill just across the Potomac River in Arlington, VA. To his north, Maryland also wished to secede, and was kept from doing so by force. The nation’s capital was surrounded by forces determined to destroy the union. An army was needed to defend the capital and then preserve the union. Enter, General McClellan. General McClellan was a dashing figure, filled with bravado, and a damned fine West Point graduate and engineer. He built and outfitted the Grand Army of the Potomac in record time. He wooed the ladies at the homes of the leadership with his assurances of how quickly he would dispatch the rebels and restore the union. But little Mac wouldn’t go out to fight. At the sound, or even the thought of a canon’s roar, he persuaded himself that Lee had him outnumbered at least three to one. The little general’s biggest battles were with Lincoln and the War Department, constantly calling for ever-greater numbers of troops and supplies. My dear McClellan: If you don’t want to use the army, I would like to borrow it for a while. Yours respectfully, A. Lincoln. And so it is today that we have at the head of the Centers for Disease Control and Prevention (CDC) a feckless bureaucrat in Dr. Tom Friedan. He may well have been a good peacetime administrator, a good little builder as McClellan was, but in the war on Ebola he simply won’t come out to fight. In some respects, he is worse than McClellan. Little Mac was loved by his troops because he had their best interests at heart. He was concerned about casualties in the ranks of those who did the actual fighting, who bore the horrors of war. When McClellan played the blame game, he went after his superiors. This week a nurse who cared for Eric Duncan in Dallas was herself diagnosed with this dread disease, whose mortality rate has risen to 70%. Reflexively, Dr. Frieden blamed the nurse for “Breach of protocol.” This, despite the fact that CDC’s protocols are so shamefully inadequate as to be be of little value at all. If for no other reason than throwing this nurse under the bus, Dr. Frieden has forever branded himself a coward and compromised his ability to lead others in battle. But there is so much more to Frieden’s appalling ineptitude. Note the use of a buddy system where the outer layers are first sprayed with bleach in order to destroy any virus that may be contaminating the surface. Note how there are layers of protective gear, and that no part of the body is exposed. Now watch the video produced by CNN medical correspondent Dr. Gupta as he demonstrates the frightening inadequacy of a protocol approved by Dr. Frieden. There are so many caregivers who’ve become patients. At least 416 health care workers have contracted Ebola, and at least 233 have died, the World Health Organization reports. In Liberia, the worst-affected country, the virus has killed more than 100 medical workers. And we see that the CDC level of “protection” has gained us two infected nurses from one patient, and who knows how many more cases incubating. At a ratio of two infected healthcare workers per patient, it would be only a matter of months before we lost most of our physicians and nurses in a major outbreak. And Frieden had the temerity to blame the nurse. Then there are Frieden’s claims that one cannot contract ebola from sitting next to an infected individual on a bus. This while the airplane traveled on by the second nurse to contract the virus from Duncan (and cleared by CDC to travel with a fever!) is about to undergo its FOURTH cleaning! Yet CDC maintains the fiction that ebola can only be transmitted by direct contact with infected bodily fluids, while not acknowledging that surfaces contaminated by those fluids can maintain viable virus for hours to days, depending on temperature and humidity. 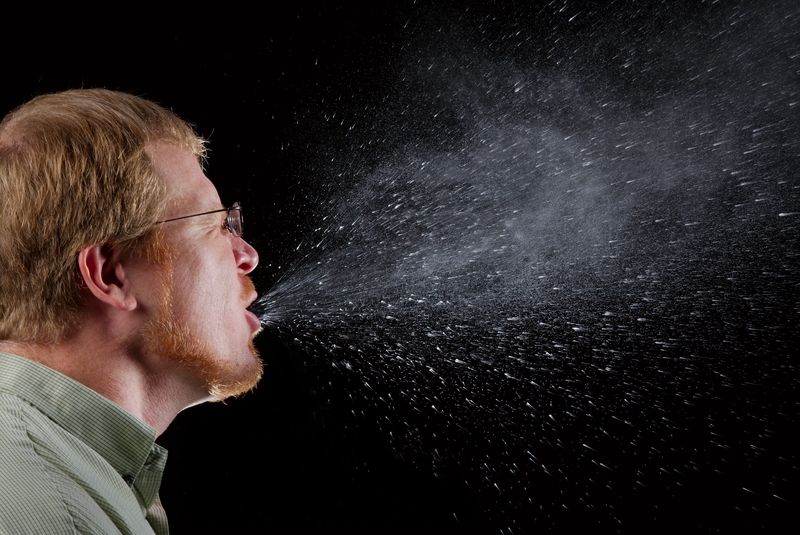 It goes without saying that to the extent Ebola is contained in the cloud of nasal spray in people sneezing on that bus (or anywhere), the virus is indeed airborne in that vicinity, and contaminates whatever surface the droplets land on. Meanwhile, teams have been dispatched to clean and decontaminate the apartments of Duncan and nurse Pham. An airliner has been quarantined, and the passengers who flew on the next five flights in that plane have been added to a watch list that has risen to hundreds. All from the index case of Eric Duncan, who lied to get here. That historical fact must not be allowed to become historical footnote, as self-reporting at airports is the furthest Dr. Frieden is willing to go in order to reduce the viral load entering the United States. Of course any exposed Liberian or other African who desperately seeks entry to the US for treatment will be entirely honest about their exposure status and voluntarily elect to stay home to die. Patients can take high doses of tylenol and motrin to knock down a fever, and even if they are asymptomatic, a 21 day incubation means that potentially thousands of infected individuals will come here and spread the disease. 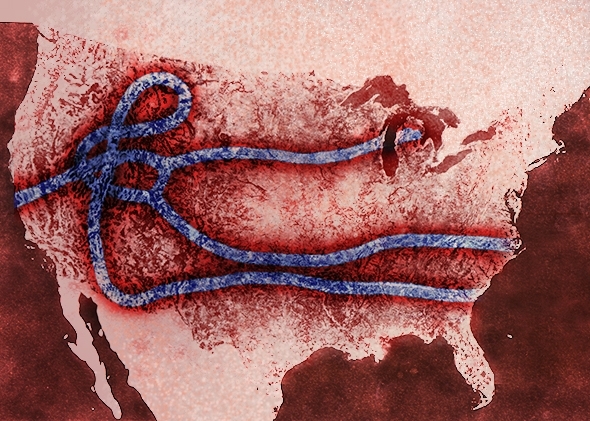 “The only way we’re going to get to zero risk is by stopping the outbreak at the source… Even if we tried to close the border, it wouldn’t work. People have a right to return. People transiting through could come in. And it would backfire, because by isolating these countries, it’ll make it harder to help them, it will spread more there and we’d be more likely to be exposed here. So, paying no heed to increasing the viral load here (through unrestricted migration) is the best way to end the problem there. And then there is the threat posed by our very porous southern border… A topic for another day. This nation is witnessing the unpreparedness we have for treating and containing ebola cases here. Our hospitals have been doing a miserable job at containing nosocomial (hospital acquired) infections in general, and antibiotic resistant pathogens in particular. In one study, it was estimated that the 2002 incidence of nosocomial infections was 1.7 million in US hospitals. In the medical literature, physicians and nurses are repeatedly identified as being weak when it comes to hand washing between patients. When the fundamentals are not habitual, it strains credulity to hear the CDC director repeatedly claim that any US hospital is fully qualified to handle ebola patients. In Texas, the amount of medical waste from Duncan alone piled up with uncertainty and confusion about proper protocol for disposal. Not all hospitals have large autoclaves for the sterilization of the bulk waste generated from the care of even one patient. It is a sad and scary spectacle to see the CDC Director being taken to task by journalists with a firmer grasp of the threat and how to minimize it than the nation’s top administrator in charge of infectious disease prevention. It is bewildering to consider why the Acting Surgeon General has not weighed in as the chief public health officer of the nation. In fact, the only medical society to weigh in with the truth has been the Nurses union in Dallas, decrying the lack of protection, protocol, and training. Leave it to the nurses. They’re usually the ones to get the ball rolling on patient advocacy, and this loops us back to General McClellan and the need for us to get rid of the McClellans among us. We don’t really need a mediagenic CDC Director. We need a fighter. We need someone who may have bumps and warts in their background, but can recognize and speak truth as a matter of habit, who can invite in the nurses union from Dallas and work collegially and rapidly to get a handle on this mess. Lincoln would go through several incompetent commanders before he found Grant, who was the opposite of pretty boy McClellan. He was rough, and unkempt, a drinker, but he fought tenaciously. When one of McClellan’s sympathizers sniffed that Grant imbibed too much whiskey, Lincoln’s classic response was to find out what whiskey it was so that he might send a barrel to all of his commanders. Lincoln was a wise man, and was willing to overlook the personal foibles of the commander, so long as the results were favorable in the fight for the life of the nation. It’s time for this nation and this president to get serious and follow that admirable example. A ban on all immigration from anyone who has been in the endemic regions for the last three months. The immediate deployment (to the endemic regions) of 20,000 US troops to build enough ebola treatment and quarantine centers to accommodate by the end of November the case load projected for the end of December (Get ahead before it’s too late to catch up). A series of quarantine stations offshore for a thirty day stay before American troops and aid workers can be physically repatriated here at home. Three state of the art isolation and treatment centers here in the US designed and modified to handle treating ebola patients, incinerating waste, and decontamination suites and facilities that are second to none. A cooperative arrangement between the Gates Foundation and other foundations willing to fund such facilities. 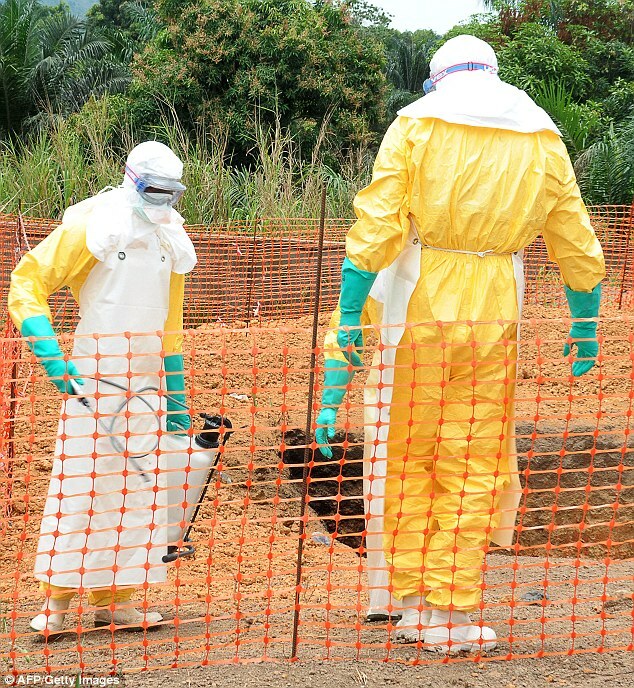 Extensive training in ebola protocols for Emergency Department workers at American hospitals, and the training of three crack treatment teams of physicians and nurses at the proposed specialized treatment centers. Protocols for the rapid transfer of ebola cases from around the nation to the specialized treatment centers. Quarantine stations here at home for those who have been potentially exposed to the virus. Unfortunately for Dr. Frieden, he has thrown his credibility away. We need a new CDC Director, a real physician or scientist and not a bloodless bureaucrat, who can lead the way. We also need a president and congressional leaders who are willing to put aside politics for the sake of the life of this nation. Without overstating the case, in light of WHO’s assertion that we have until December 1st in Africa before this spirals entirely out of control with 10,000 new cases per week, we may be looking at our last chance to get this right. I don’t really know if Dr. Frieden is the best qualified individual for his job, but in terms of the blame game you refer to it seems to me he’s the wrong target. You can suggest a comparison between the CDC and operations during the Civil War, but that’s really apples vs. oranges. Because we have a disparate collection of public and private, profit and non-profit hospitals, instead of a unified universal health care system, the CDC does not have legal authority to step in and order anyone to do anything. Unless Congress and the president specifically grant more authority, the CDC functions solely as a non-governmental advisory body. You are correct in asserting this is more the function of a Surgeon General, and others in the administration like HHS. Your hypothetical example referring to General McClellan (as Frieden) would be more correct if President Lincoln had sent a West Point instructor to go prosecute the war, and then fired him for not arresting McClellan. Texas Presbyterian, according to nurses who were part of Mr. Duncan’s care team, not only did not follow CDC protocol, but had NO protocol in place for dealing with the patient. He was left in a common area with other patients for hours, and when a nursing supervisor tried to get him into isolation she encountered resistance from hospital administrators. Care givers were not ordered to use anything above standard precautions when performing procedures. His blood and stool samples were not isolated, were transported in common with those of other patients, and initially examined in the lab as if they were ordinary non-lethal substances. As Duncan’s condition deteriorated, instead of switching to hazmat-type suits, nurses were ordered to “add more layers” to their regular (and inadequate) protective costumes. All these mistakes ARE breaches of protocol, and the hospital sets protocol, not the nurses. It’s not blaming the infected nurses to say it that way. In this case, Frieden was entirely correct. This hospital was not up to the task. The additional fact that they misdiagnosed Duncan and sent him away at first also supports this. Perhaps Frieden should have clearly said “this hospital screwed up royally, and heads should roll”. As of today, only 1/3 of their 900 beds are occupied, so the public has already made its own judgment. Should the CDC have been aware our system of hospitals includes incompetent ones? Yes, but I don’t see how it’s their job to tell us which are, aside from providing plans all should follow. The same goes for nurses. Nurses have the best of motives, but their skill sets aren’t all equal. I’ve worked with some real doozies, all sweetness and attentive when talking with patients, then not changing their gloves between cases until called on it. Thanks for making my case for me, Mikey. Given all that you have just said, for Frieden to assert that any US hospital is more than capable of handling ebola is enough to show him the door, because he’s building policy on that fairytale. On the nurses at TP, if you listen to them, they said the protocols kept changing. In any respect, did you watch the Gupta video I linked? THAT is Frieden’s protocol. Another excellent reason to fire him.